It should be just a matter of setting the _GTK_HIDE_TITLEBAR_WHEN_MAXIMIZED property. I was wondering why this would be a per-application property rather than a window manager configuration. explains that an application may use the titlebar to convey useful information. We don't have to worry about that in Firefox because the information is duplicated in the tab. I wonder whether window managers will provide different UI for restore/minimize/close/window-menu, or if applications are expected to provide that. It seems  that chromium now only sets _GTK_HIDE_TITLEBAR_WHEN_MAXIMIZED when using its custom frame, which I guess provides some window controls. wanted it" meant. Perhaps that was something to do with themes, or window manager configuration. > Firefox because the information is duplicated in the tab. I've been using Firefox without a titlebar on GNOME Shell and I feel like nothing is missing. I think that depends. For example on Unity you get the controls in the top-left corner, in GNOME Shell there are no controls when the window is maximized. Since gdk_x11_window_set_hide_titlebar_when_maximized is in gtk3 only, this can be depend on 627699. Note that not all people who use GTK3 also use GNOME. 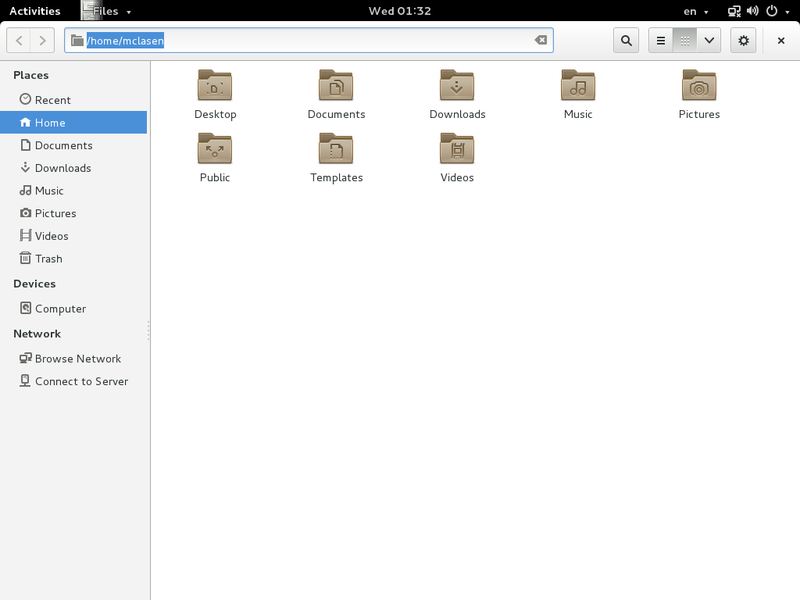 Some people will use Firefox with GTK3 on GNOME. Others will use it on Unity, Cinnamon, MATE, KDE, LXDE, Xfce, Openbox, etc. > Note that not all people who use GTK3 also use GNOME. > GTK3 is not GNOME3! > Some people will use Firefox with GTK3 on GNOME. > Others will use it on Unity, Cinnamon, MATE, KDE, LXDE, Xfce, Openbox, etc. Sure. By documentation  the gdk_x11_window_set_hide_titlebar_when_maximized only set a hint for window manager to hide titlebar. It's up to window manager how it handles this request. At least I hope so. > can be depend on 627699. Actually we could set the hint manually with GTK2. unmap and re-map the window every time it is maximized or restored. used to decide whether to show a titlebar. windows (on some systems), but only adding buttons to the browser main window. only specify this on windows which will provide their own buttons. platforms so that this need not depend on whether the window is maximized. What is the purpose of the 2s here? Is there a titlebar when tabsintitlebar is unset? What ensures that tabs are not in the hidden titlebar when not maximized? person to review these changes - perhaps Dão. "If the specified format is 32, the property data must be a _long_ array." That makes a difference on big endian systems with 64-bit longs. Please use unsigned char* for Xlib parameters. This property should be set only on toplevel, non-popup windows. What about adding "hidechromewhenmaximized" attribute to windows? It shouldn't broke anything, but it can help to add-ons authors. I just copy/pasted "hidechrome" attribute and added logic for setting "_GTK_HIDE_TITLEBAR_WHEN_MAXIMIZED" property to "nsWindow::HideWindowChromeWhenMaximized" method. I am not sure, that it works correctly with no-gtk builds. // Sorry for my bad English. Any plan to continue this? I think adding a pref to switch this feature is enough to address the difficulity mentioned in comment 10. I guess most systems should work fine, and we can suggest the users who do use an odd system to switch off this pref themselves. I don't have time to work on this right now. Gtk3 provides gtk_window_set_hide_titlebar_when_maximized() and even gtk_window_set_titlebar/gtk_window_get_titlebar for this. Let's target his at Bug 1283299.